Immer noch sind die Wellen hoch bei der Berichterstattung über das Pentagon UFO-Programm und alles zeigt mehr auf die "fehlenden Erkenntnisse" hin, die zum Ende des eigentlichen Programm´s führten. Da in diesem Zusammenhang das Video eines NAVY F-18 Piloten in den Vordergrund gerückt wurde um der Sache ein besseres Aussehen zu verpassen, liegt der Fokus nun auf diesem FLIR-Video. 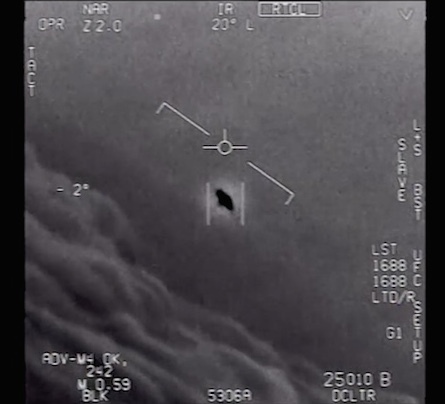 In der NYT (siehe unser Beitrag) wurde natürlich nicht darüber berichtet, das es um das FLIR-Video von 2004 schon im Jahre 2007 eine Veröffentlichung dieses Video gab und in den skeptischen UFO-Foren wie ATS in den USA heiß diskutiert wurde. Nach lesen aller Beiträge ist inzwischen ein scheinbarer Fakt von Interesse, so die eigentlichen Aussagen zu dem vermeintlichen Vorfall der F-18, nicht in Verbindung zum Video stehen! I've only had a quick glance through the summary. It appears realistic (well, the non-UFO stuff anyway), and the squadrons involved certainly are part of Carrier Air Wing 11 (CVW-11). The Fast Eagles are F/A-18Fs flown by VFA-41 The Black Aces. The other squadron names are consistent. 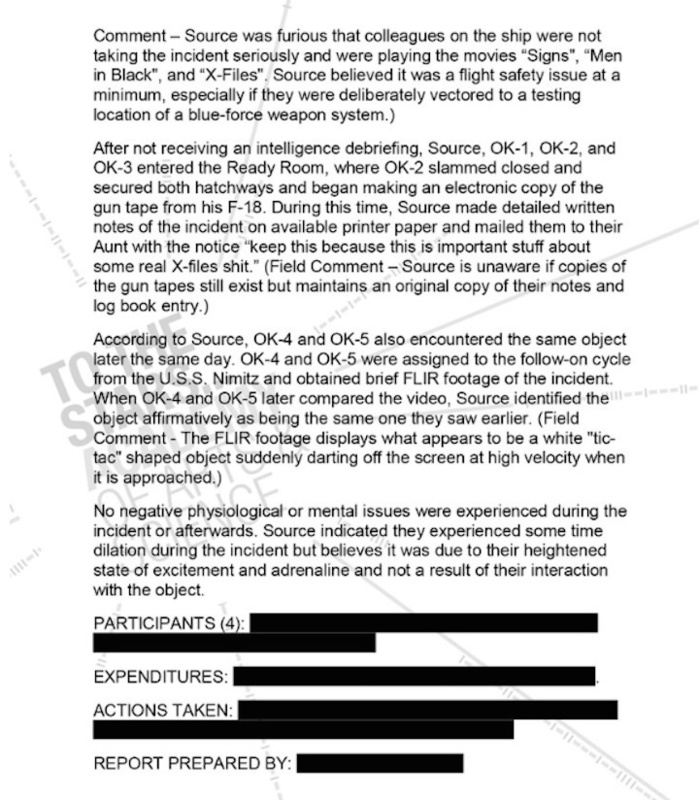 So, I'd say at the least that it is based on a real air wing summary, such things by themselves not being classified in any way. 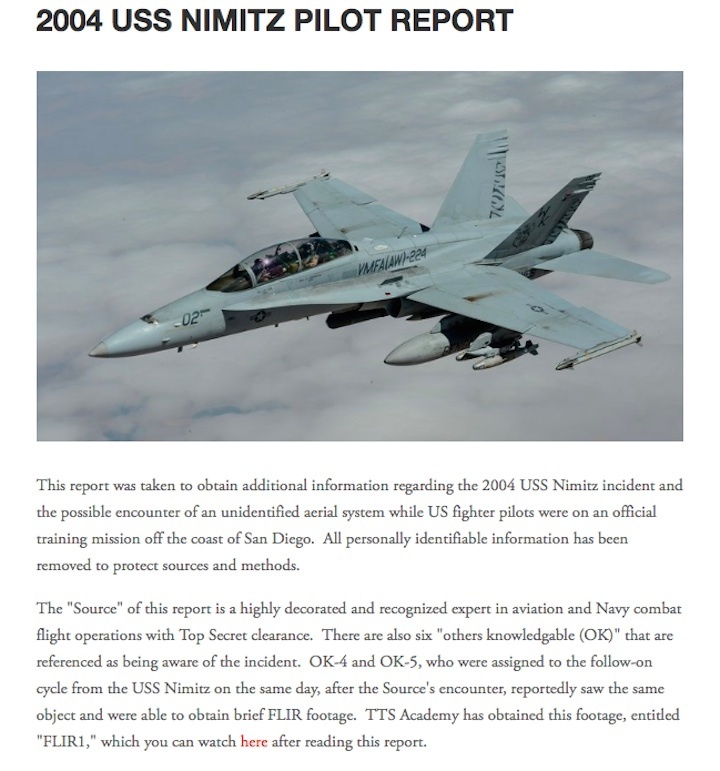 The next question is whether the Nimitz (the carrier involved) was at sea at the time. From what I've been able to glean from the net, the Nimitz returned to port in San Diego on 20 November 2004 after completing 23 days at sea, including an evaluation. I haven't been able to ascertain if she was alongside or at sea on the 24th. Generally after an intense shakedown, some alongside time is in order, and the air wings redeploy to the home bases. But I can't prove one way or the other at the moment. The F/A-18F is equipped with the ATFLIR, a more advanced targeting pod than the one I'm used to. The picture quality is generally very clear on pods such as these, and if the aircraft was only five miles away as claimed, I would have expected the picture to be much better than it actually is. I need to draw some pictures to get a full appreciation of the actual manoeuvres, and where everything is. 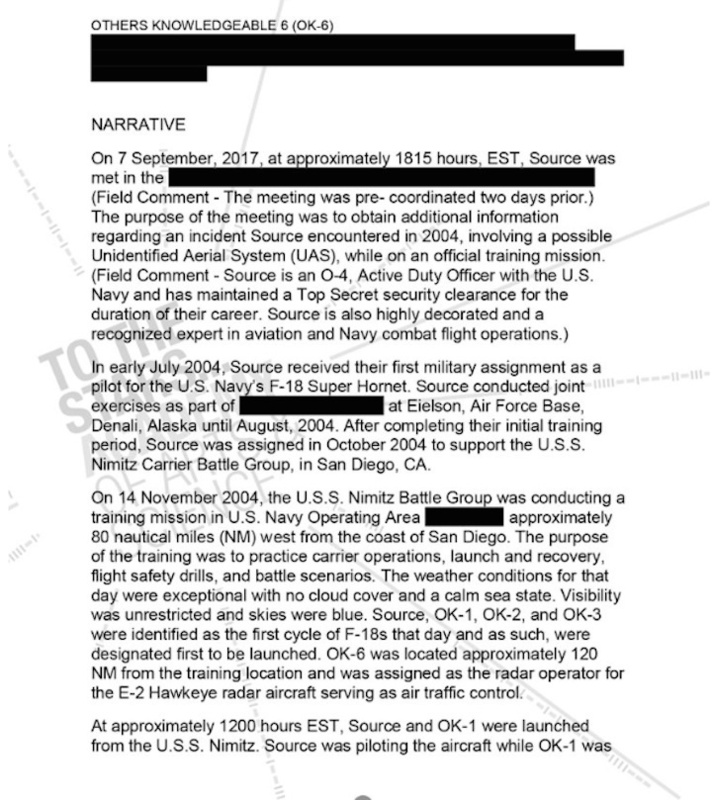 It is a standard fighter debriefing methodology, and should give me an idea of whether it is plausible or otherwise. One thing that strikes me is that traditionally when putting in a narrative event such as this, the actual aircraft callsign would be used rather than the Squadron nickname and aircraft number (which is what Fast Eagle 110 etc is). Anyways, this is all based on a very quick look. I'll let you know if I come up with anything else. As promised this story is the real deal. So go on and make your own thoughts and decisions about this. 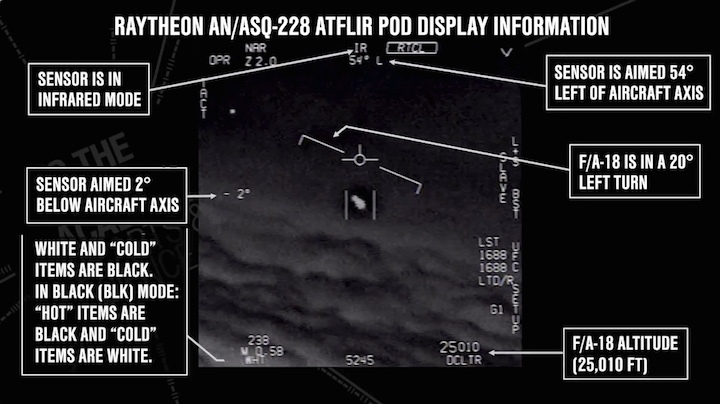 The video you are about to see seems to be a FLIR-hud-vision captured by one of the jets, that were sent out to intercept the unknown object. 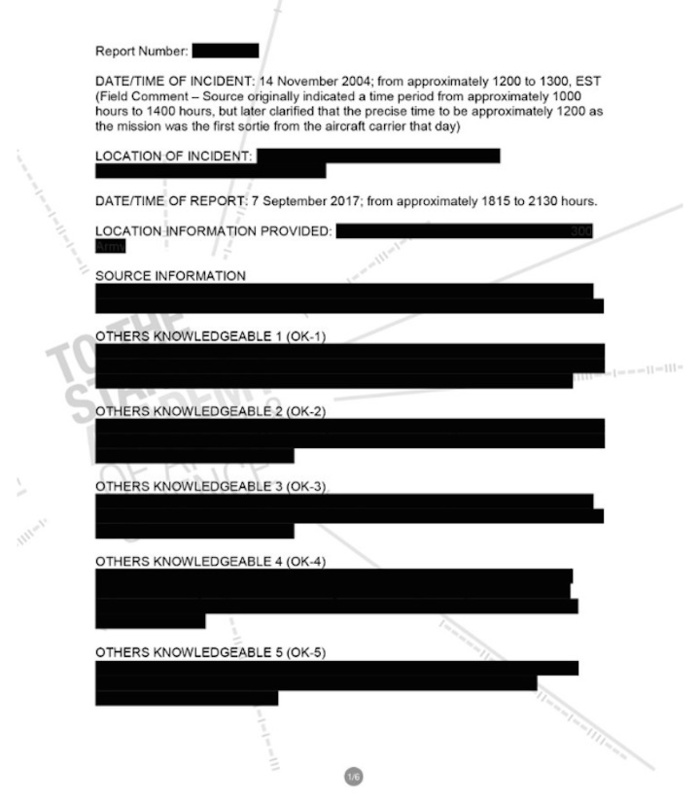 The materials we (me and one other ATS member who wished to remain nameless) used for this analysis/post were this video, an event-log and a power-point-presentation, but the information included in there has not been worked out yet.The files we have can be released on demand. This is the video here and these are the events happened. Two interceptor fighters were directed to a certain location, where an unknown object has been spotted at 160@40NM (N3050.8 W11746.9). The fleet informed the intercepting jets that the object was moving at 100 KTS @ 25 KFT ASL. The jets could not find any object at that location. While the jets were searching for the air contact, they spotted a large object in the water at 1430L. The pilots saw steam/smoke/churning around the object. 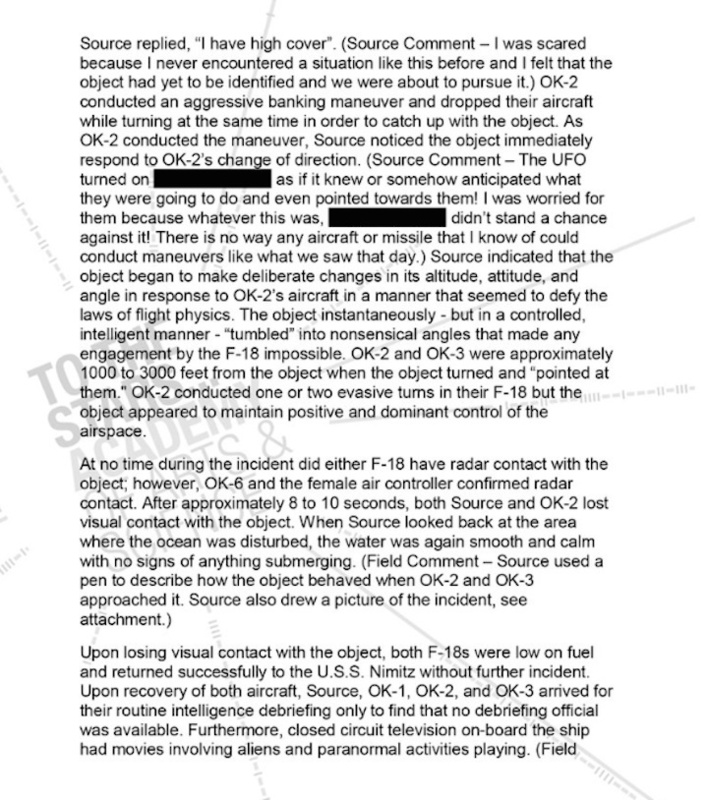 The pilot described the object initially as resembling a downed airliner, he also stated that it was much larger than a submarine. A jet descended down from 24KFT to gain a better view of the object in the water. 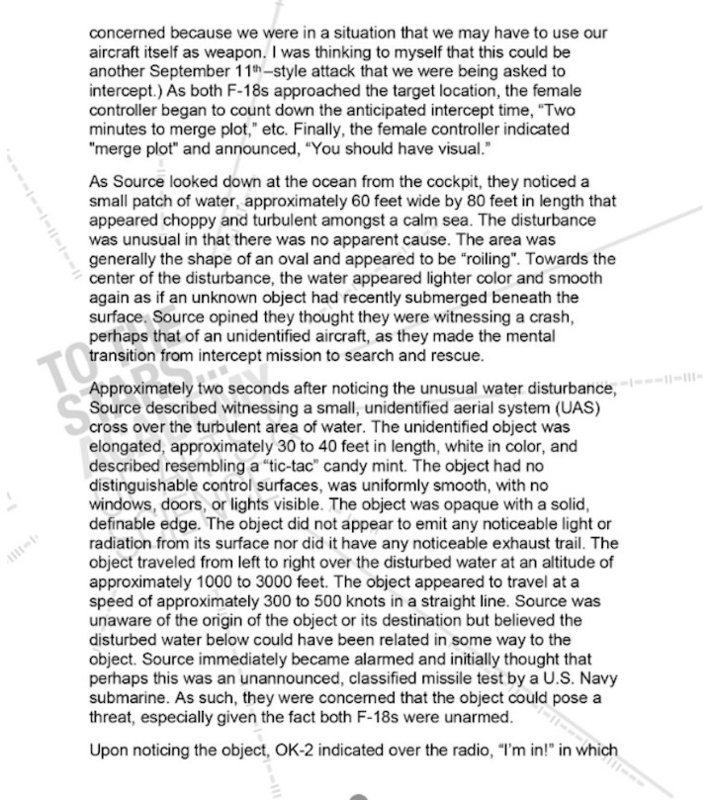 The jet then spotted an air contact, it appeared to be a capsule shaped (wingless, mobile, white, oblong pill shaped, 25-30 feet in length, no visible markings and no glass) 5 NM west from the object in the water. The capsule passed under the jet at 4KFT at course 300. the jet turned to acquire the capsule. While the jet was descending and turning the capsule began climbing and turned inside of the jets turn radius. The pilot estimated that the capsule achieved 600-700 KTS. The jet could not keep up with the rate of turn and the gain of altitude by the capsule. The jet then lost visual on the capsule in haze. Last visual contact was at 14KFT, capsule heading due east. Neither of the two jets could achieve radar lock or any other means of positive id. The other jet was flying high cover and saw the engagement by the other jet, this jet confirms visual id of the capsule and the other jet chasing it. Both jets lost contact in haze. Was das Video betrifft, sind weitere Recherchen-Details zu erwarten.